Yellow All Around 7" dia. Red Playball 6 1/2" dia. Whether providing entertainment during gym class or at the local rec center, this Voit® Tuff Medium-Density Allaround Ball is suitable for a diverse range of fun games and activities. Children can learn important skills, like teamwork and sportsmanship, while throwing or catching this large, firm ball. Designed with an ideal size for smaller hands, this ball lets young athletes stay active while enjoying various indoor or outdoor games. 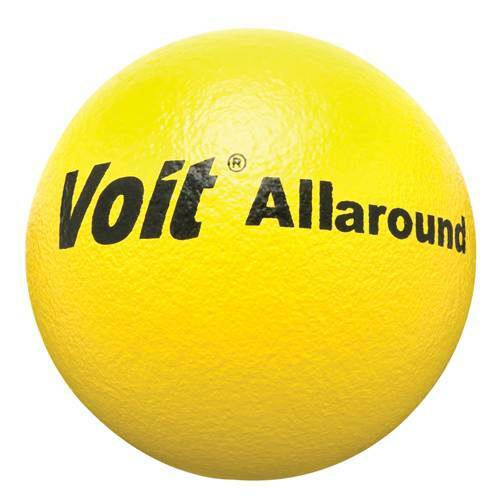 The bright coloring helps kids keep track of the ball, whether it's rolling down a grassy field or flying through the air.